Paimpol is only accessible 2-3 hours either side of high water (11m last night) with the channel to the town dries to over 5m. This means that not only is there no water, you also need another 5m of water just to get back zero tidal height. Add the 2m we need to float plus any contingency and you end up with wanting at least 7.5m under you. 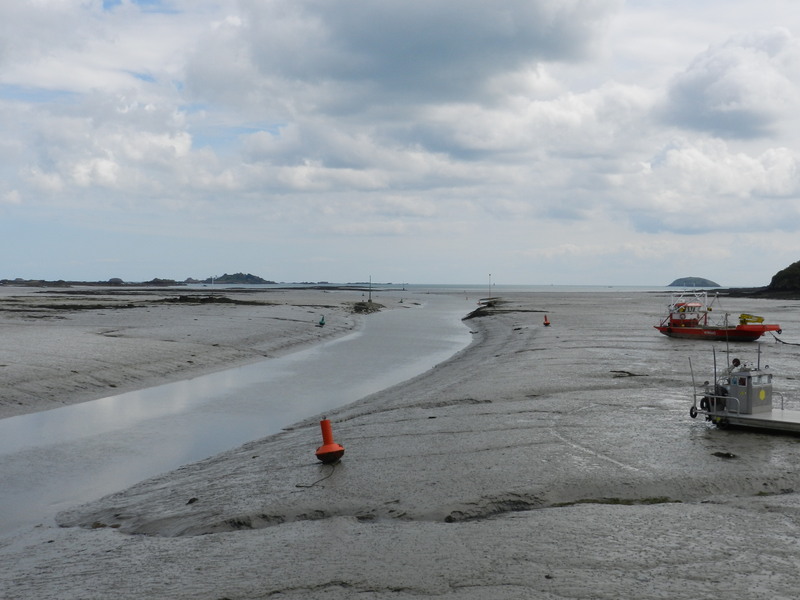 It is also very rocky but beautiful here – North Brittany is called the granite coast – so any navigation needs to spot on otherwise you could end up on them or stranded in the mud for the next six hours! However, we came in on a rising tide to minimalise the risk and the channel is well buoyed so as long as we had worked out our tidal heights, we should have been okay. When we arrived, there weren’t any harbour staff to direct us to a berth so we went along the quay in a space that was only slightly bigger than the boat. Safely tucked in, we had a walk around town before eating onboard. It was a lovely evening but got cold quickly once the sun had set. 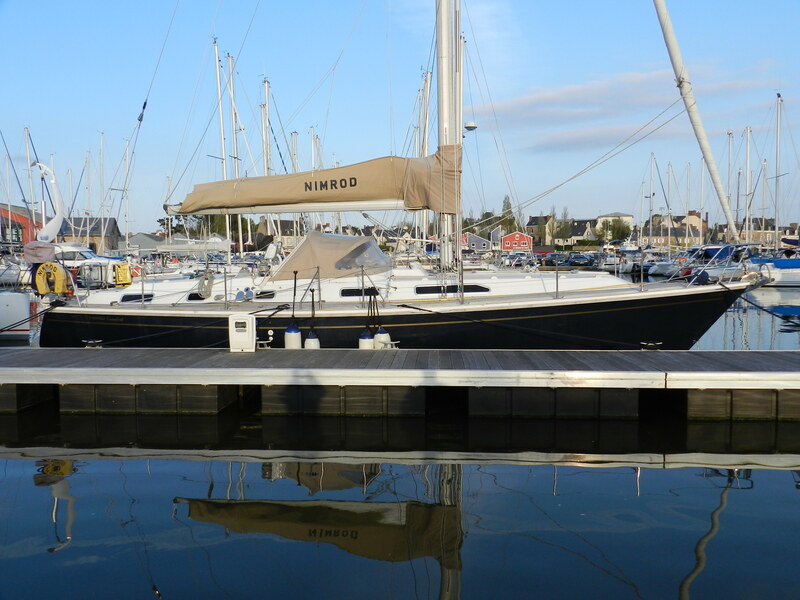 Paimpol is a small town with the marina/harbour right in the centre of town. 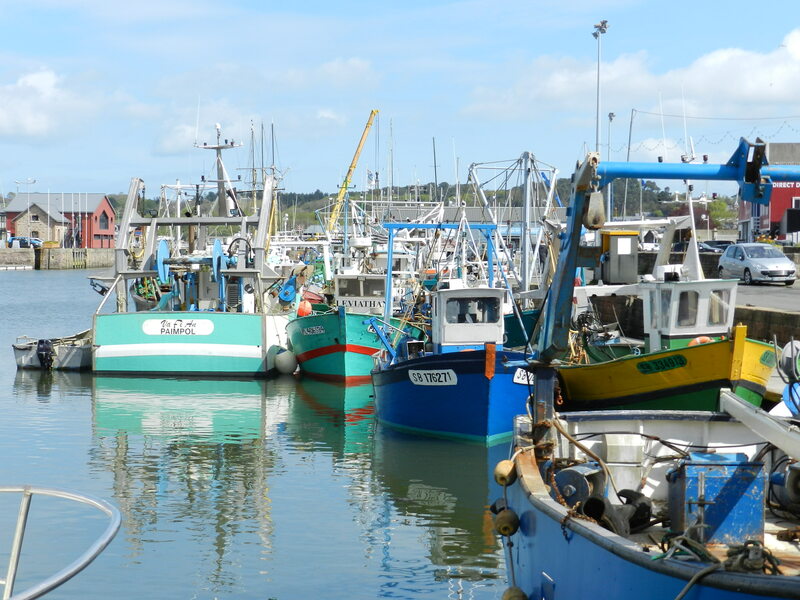 The Ile de Brehat is a few miles away and is a favourite summer destination for the French. 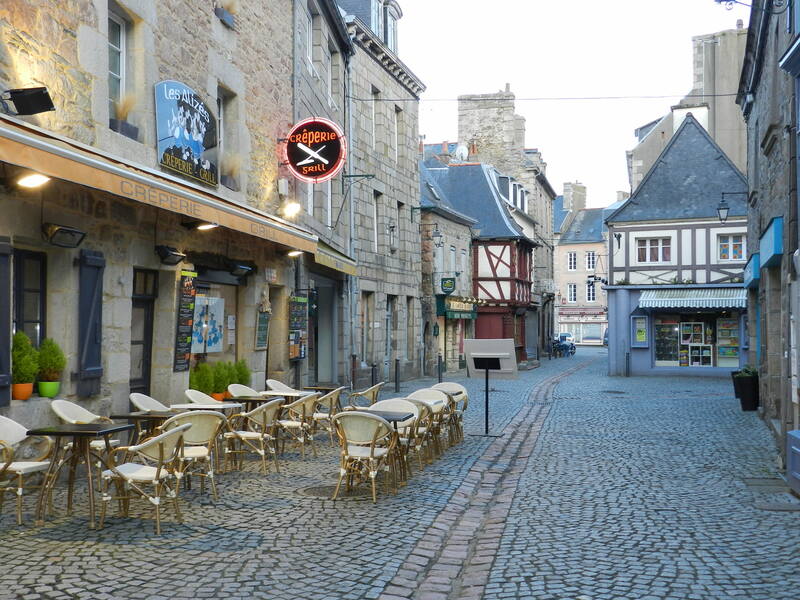 The town has a charming feel to it not unlike St Vaast but perhaps not quite so touristy. It has a Carrefour Cite, a bit like a Tesco Metro but somehow a bit classier, as well as the more traditional boulangerie and patisserie. There are numerous bars and restaurants that cater for both tourist and local alike although I suspect that the locals eat away from the main harbour area.